At Learning to Learn there is a wonderful program for your 2 and 3 year old. 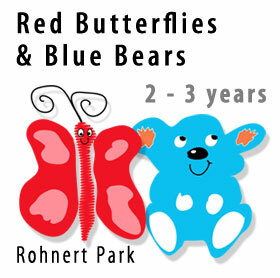 The Red Butterfly group consists of up to 18 children with 2 teachers. The Blue Bear group consists of up to 24 children with 2 teachers Each morning after the teachers help children and parents with their “Good byes”, they gather together for a group circle time. Next, the children are offered a wide variety of activities. Children learn through hands on exploration. Therefore, here at Learning to Learn we offer the children many opportunities to learn about their world through guided discovery of art, science, cooking, blocks, manipulatives, tactile exploration, dramatic play, writing experimentation, music and movement, large motor planning, and social interactions. Through active involvement with these various interest areas available in the classroom children learn many concepts essential to logical thinking, problem solving, early literacy skills, and early math skills. At this age we see the importance of developing and teaching self-help skills, sharing spaces and materials, problem solving and social skills. All of these skill building activities will help prepare them for their next endeavor; Pre-K. AFTERNOON SCHEDULE FOR BOTH GROUPS Children in both groups combine in the afternoon to make one group. Inside Activities with all groups So we may offer a more enriching program, all children in these group might also take a walk on premises, or do another activity in different areas of the school.